Hope you are all having a good week! The weekend is nearly here...thank goodness for 4-day weeks! I wanted to start sharing some wedding-related posts since I'm starting to ease my way into planning our big day! One thing that became instantly apparent...there are so many cute items out there for a newly engaged lady! oh cute is that wifey tee! love it. 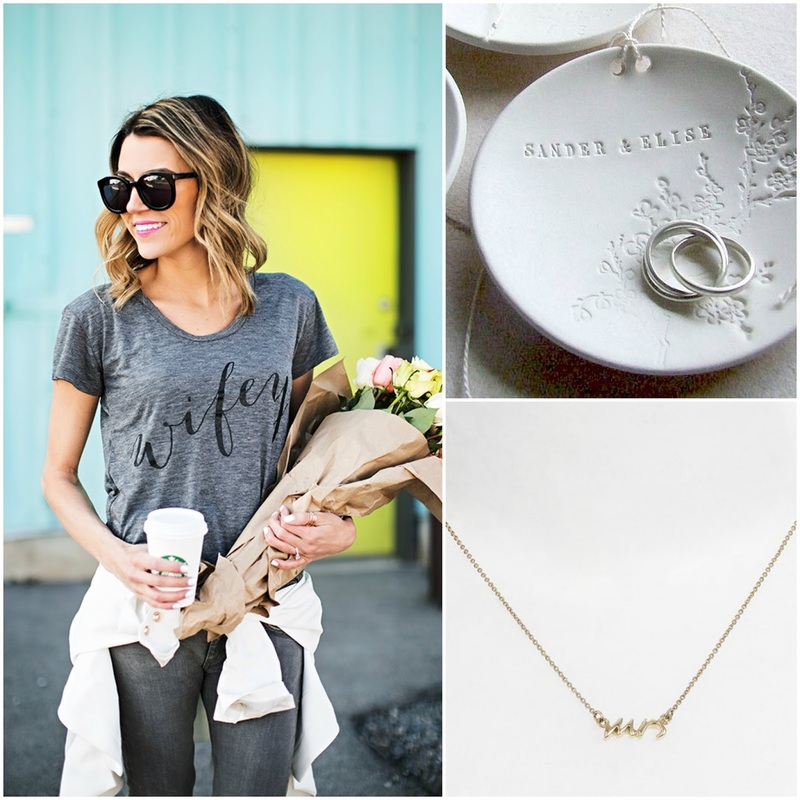 Love that wifey tee, even though I'm not a newlywed, I still want it! I have the wifey tee! It's seriously so soft. I'm with Hope- I have that tee and it's SO soft! !